*Please check out my full review of this product here. I have the opportunity to review Anavita Moisturizing Anti-Wrinkle Cream and am super excited about it! Here is some information about it while I wait for my actual product to try so you can read up on it and purchase it if it sounds like something you would love. I'll be back in about a month to write my review! Anavita Moisturizing Anti-Wrinkle Cream is GUARANTEED TO LEAVE YOUR SKIN FIRMER, tighter, more toned, moisturized and more youthful looking. It's PROVEN TO STIMULATE COLLAGEN and reduce fine lines and deep wrinkles so you can avoid painful and more expensive procedures like facelifts or Botox injections. With a tested history of safe and gentle action by a LONG LIST OF SATISFIED USERS, this non-irritating cream is well-suited for all skin types. SIMPLIFY YOUR BEAUTY ROUTINE with this convenient anti-wrinkle cream, moisturizer, day cream, night cream, peptide cream, and makeup base. Paraben-free and cruelty-free, the cream features 3 clinically proven active ingredients. Check out our TOP RATINGS ON AMAZON.COM. 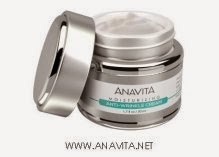 $5 Off Wrinkle Cream Normally $29.95 - Amazon coupon code: USFG5OFF Apply coupon code at Amazon.com checkout for $5 off Anavita Moisturizing Anti-Wrinkle Cream normally $29.95. Free shipping for prime members. Say Goodbye To Wrinkled, Sagging, Dry Skin In Just A Few Short Weeks! You will quickly reduce fine lines and deep wrinkles, firming and replenishing your skin to look noticeably younger, without needing expensive procedures like Botox or dermal fillers. Simply massage on Anavita Moisturizing Anti-Wrinkle Cream after washing your skin in the morning and again at night. Our top priority is to provide you with 100% satisfaction, and nothing is more important for our company than giving you a positive experience. We welcome any questions you may have about our products. As a company based in Tennessee, USA, we take great pride in our skin cream. The Anavita Moisturizing Anti-Wrinkle Cream is manufactured for us in Canada under strict Canadian cosmetic manufacturing guidelines. You want to look your best, and we want to help you achieve that with a great product for smoother, younger-looking skin.